Thurs. #2 is HERE. To help the website out please subscribe to Mistah MegaManFan so we can reach 1,000 and bring in extra ad revenue. If you're a gamer you'll enjoy the content! Don't miss Thursday Night AMP from last night! With the cheap plugs out of the way here's Friday's latest wrestling news. 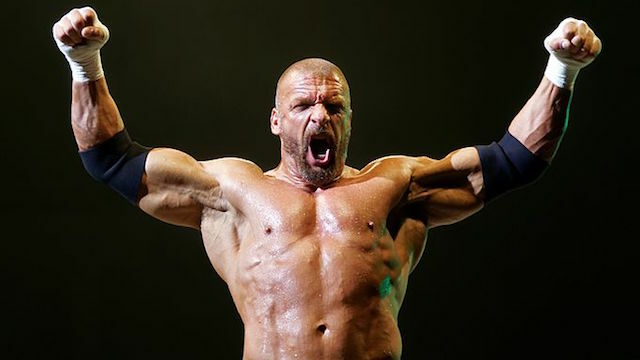 If you're in Phoenix today Triple H is doing a live in-ring Q&A at Royal Rumble Axxess. Here Taya Valkyrie talks about whether or not Impact is pursuing the hunting demo on the Pursuit Channel: "I don't know if that's exactly the way it should be perceived. Yes, it's an outdoor network and hunting network, but I don't think it should be pushed towards the gun stuff because I don't support any of that kind of behavior. It's just a different crowd for us to be in front of. We were well-received and everyone knew who we were. It's just a different network and sometimes you have to go to where you think you have a better fit and right now that's where Impact is." In this interview Brandi Rhodes (Eden Stiles) talks about being the only black woman to be at both WrestleMania and WrestleKingdom: "I think it's something that I have to celebrate a lot on my own. It's something that I see as a big accomplishment that has never been done. It's amazing! I do think a lot of times it's forgotten, especially in the black community because I'm married to someone who's not black. So I think it's important not to not celebrate something because of who their families are. It's always great to continue to recognize when these things happen because they only happen once. And maybe you don't particularly like someone or you don't see them a certain way because of their affiliations and stuff but we can recognize things as we as a community have been able to do." For those interested Ronda Rousey has a new article on her website looking back on her career. Last but not least Trish Stratus decided to one up the ten year challenge by making it SEVENTEEN years.